Fucopia would like to share information with our viewers about Dr. Jeff Feinman’s HomeVet community. 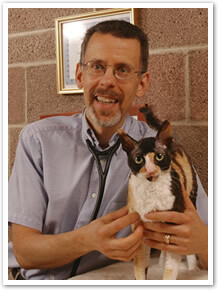 Dr. Jeff has a wealth of information on his site HomeVet regarding holistic and homeopathic care of our pets! Dr. Jeff and Holistic Actions! supports Fucopia’s efforts to introduce pet parents to the holistic and organic nutrients and the benefits of fucoidans. 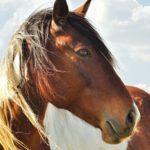 You can join Dr. Jeff’s community by going to this link: Dr. Jeff’s HomeVet, where you can browse his wide range of articles! He also answers questions regarding holistic treatments and products. 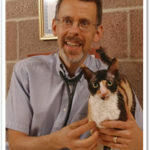 Jeffrey Feinman, BA, VMD, CVH, holds both molecular biology and veterinary degrees from the University of Pennsylvania. Dr. Jeff was the first dual degree recipient at Penn in the prestigious University Scholar program (which was designed to foster medical scientists). His scientific experience includes research at The Wistar Institute, Penn’s School of Medicine in the Department of Biochemistry (where he first published his scientific research) and the veterinary school’s Department of Medical Genetics (where he wrote further scientific articles). In addition his academic career during veterinary school included an externship in endocrinology at the Animal Medical Center in New York City where he was again published in a leading, peer-reviewed veterinary journal. After graduation from veterinary school, Dr. Jeff was selected for a competitive internship in clinical medicine at the Angell Memorial Animal Hospital in Boston. 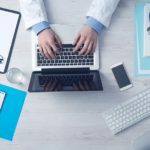 After fourteen months of intensive clinical experience he decided to postpone his planned academic career to help individual patients. In clinical practice he quickly became alarmed by increasing rates of allergy, cancer and other degenerative diseases. 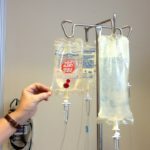 Frustration with the results of conventional therapy of these chronic diseases fueled an interest in natural, holistically-applied therapies. 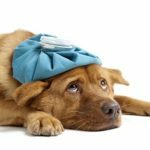 And a short video explaining how homeopathy can help your pet!